Back at the scene of the New Year’s Polar Bear Dip. Two days later it’s twenty degrees colder. I don’t need no stinkin’ bike trainer. It might have been -15º with a windchill of -20º, but that’s no excuse. It’s not like I don’t have warm enough clothing, and there’s no snow on the ground. I wasn’t the only person who had this idea either. 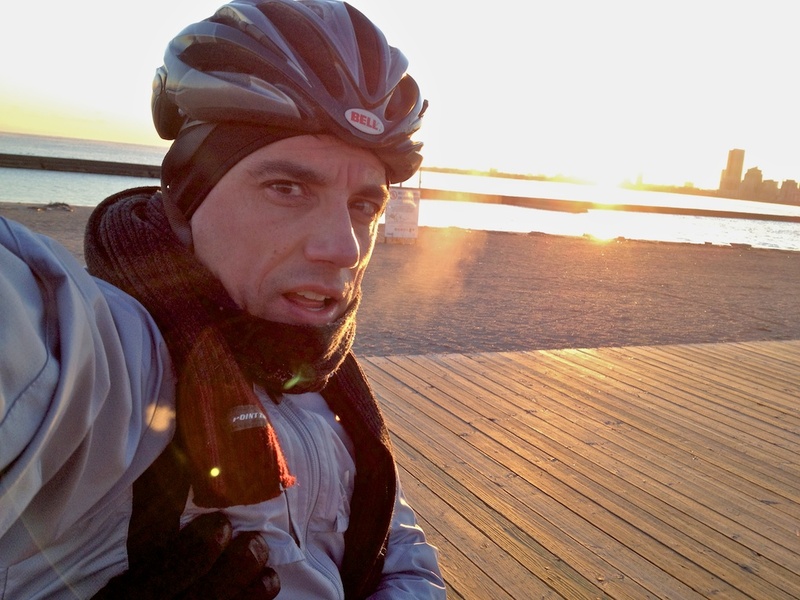 On my Humber River loop I usually run into dozens of riders. This time I saw two other non-commuters. 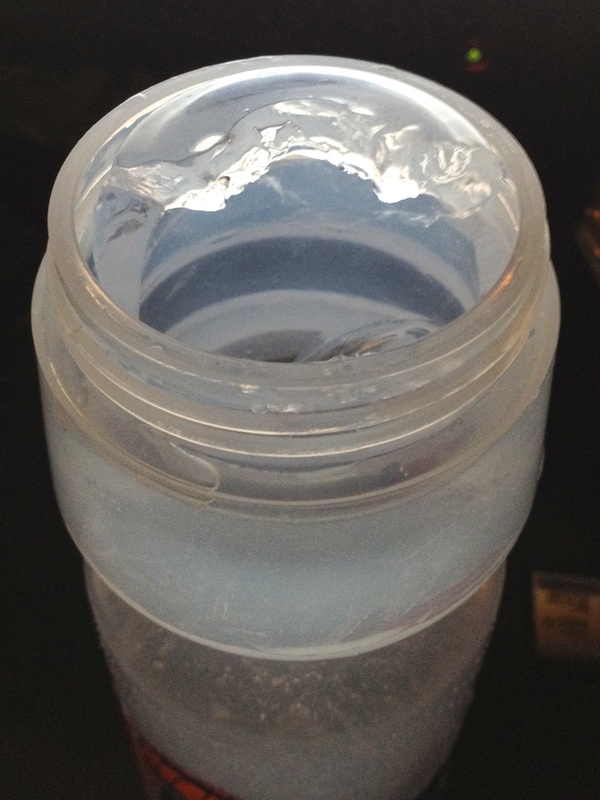 It’s so cold out that my water bottle froze shut. The ice was about a half inch thick. 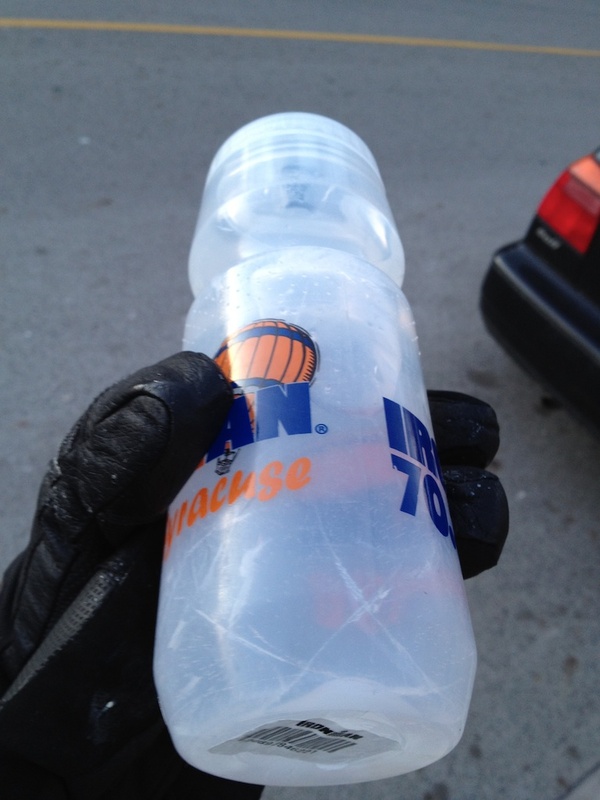 Luckily I was only out for an hour and a half, and I had properly hydrated before leaving. Biking outside?! Now that’s brave… although, if our roads were clear I probably would have been tempted to take my new ride for a spin! Thank goodness it wasn’t that cold for your dip! I’m having Seinfeld flashbacks. Thanks Marlene. I’m reasonably happy with it so far! There are only a few months left of this cold, but I hate how dirty the roads are in the spring.